A view of the old North Side YMCA building from the old Sportsman's Park location in the JeffVanderLou neighborhood. Mission: St. Louis, a non-profit organization, moved to the building and has uncovered some unexpected surprises and historic elements. But they’re likely nowhere near the size of the surprises that Josh Wilson and Jason Watson, the executive director and Beyond Jobs director at local nonprofit Mission: St. Louis, have found in a move they recently made from a 5,000-square-foot building in the Forest Park Southeast neighborhood to a historic. 87,000 square-foot building in the JeffVanderLou neighborhood. 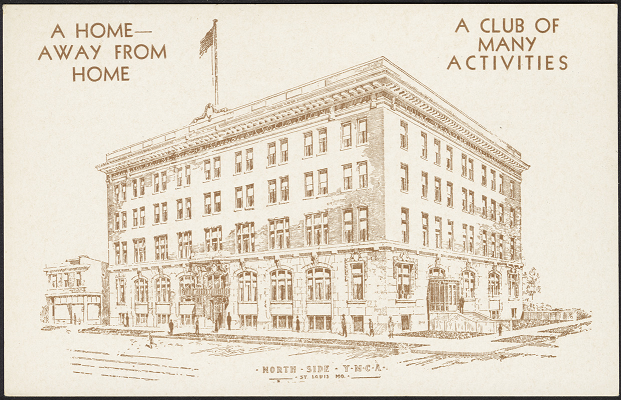 A postcard showing the North Side YMCA in 1918. The building is the old North Side YMCA, originally built in 1918, located at the corner of North Grand Boulevard and Sullivan Avenue, kitty-corner from the old Sportsman’s Park location. The building is a monolith, brick and stone, rising up five stories over Grand. Inside, historic treasures abound, but you might not know it unless you’ve had the chance to enter or grew up going to the YMCA. Finds in the building include a full floor of white and emerald marble tile hidden under linoleum, the old layouts of YMCA hotel rooms, a well-preserved wooden basketball court and racquetball courts, and, the pièce de résistance, an original 1918 tiled pool in the basement. Apparently, the design used for the pool is the same one that was used for the design of the pool in the basement of the White House. 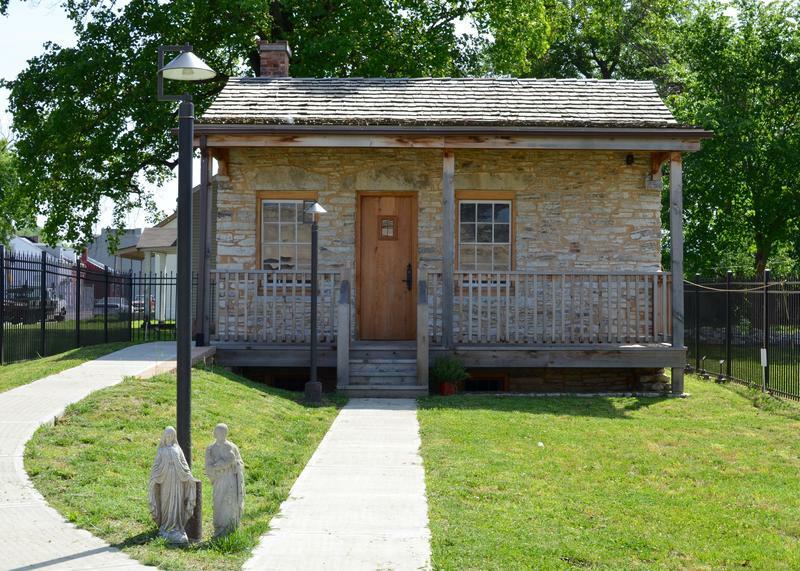 Take an audio tour inside the old North Side YMCA at Sullivan Avenue and North Grand Boulevard in the JeffVanderLou neighborhood with St. Louis on the Air producer Kelly Moffitt, where Mission: St. Louis relocated and is uncovering historical elements of the building. Mission: St. Louis is a non-profit dedicated to finding ways to eradicate poverty here through education, community programs and job development. 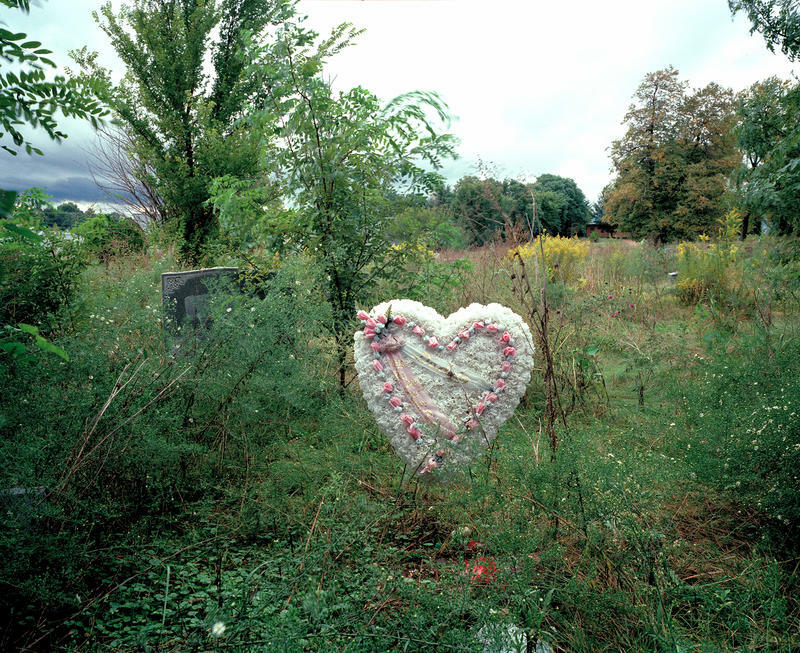 For the past two years, they’ve been looking for a space to expand their work, while reinvesting in a part of St. Louis that has seen a lot of disinvestment in the past decades. In moving to the old North Side YMCA, the team is envisioning a space that will fully realize a holistic workforce development pipeline. 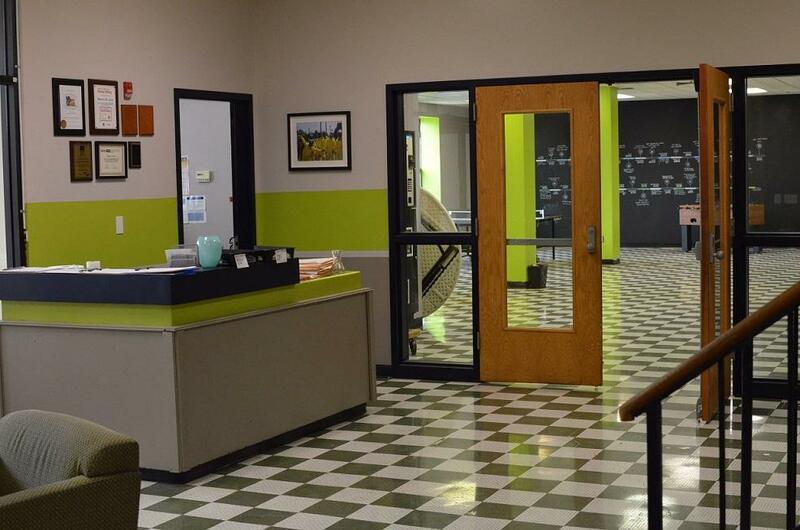 While restoring the building’s historic elements, they’re in the slow-but-sure process of renovating classrooms for their job training program, a business incubator, co-working and manufacturing space as well as a wellness center to benefit program participants and the North St. Louis community. 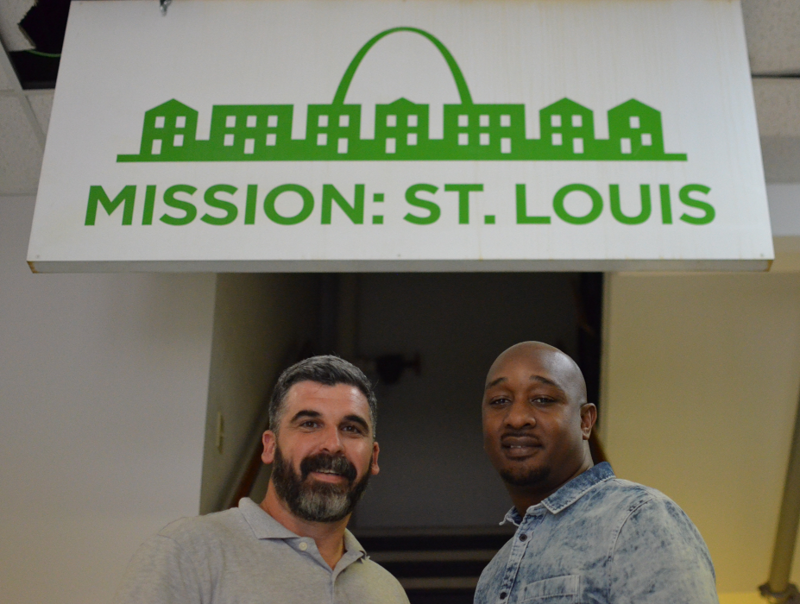 Josh Wilson, executive director of Mission: St. Louis, and Jason Watson, director of the Beyond Jobs program for the organization, pose in the entryway of the old North Side YMCA building. The hope is to have funding secured through grants and the restoration/renovation process begun by April of 2018, but that hasn’t stopped Mission: St. Louis from working in the building since last September. The entry way to Mission: St. Louis. Note the emerald and marble tile floors, original to the YMCA. 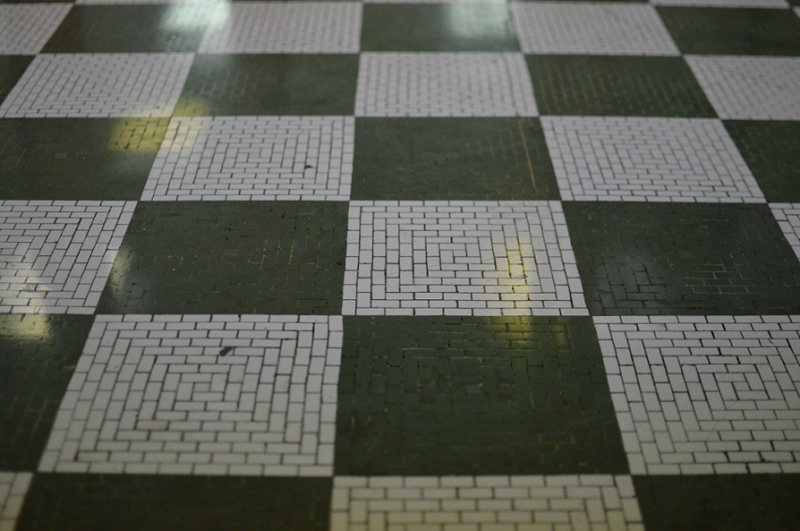 Detail of the emerald and green marble tiles on the floor, previously covered by linoleum. 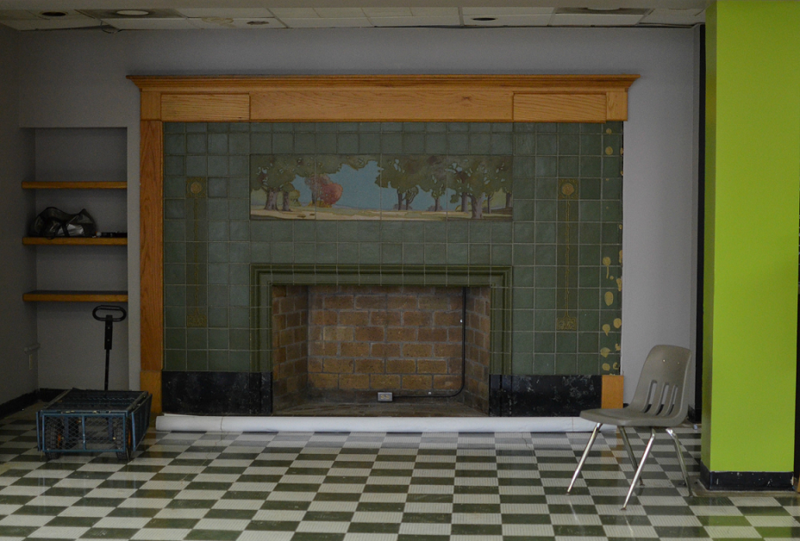 A fake fireplace facade sits in the main hall of Mission: St. Louis space. Wilson was unsure when it was originally installed, but it is not connected to a working fireplace. A view of the main hall of Mission: St. Louis, where private meeting spaces, lounge, and directory will be housed. 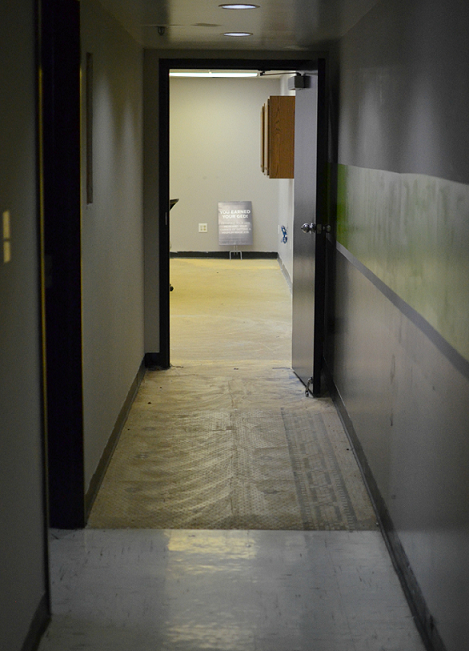 A view of a basement hallway with classrooms that will be converted into counseling and group counseling spaces. Halfway through it, you can see tile that abruptly starts and stops. 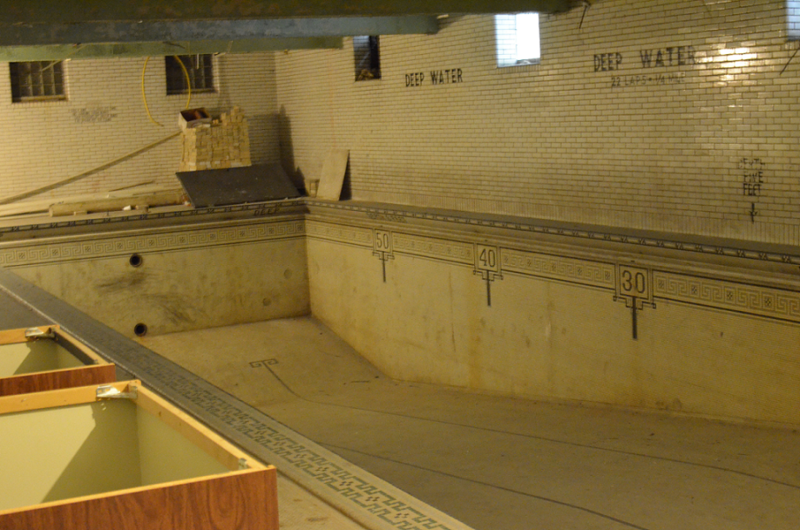 A view of the original 1918 pool in the basement of the North Side YMCA building in JeffVanderLou. 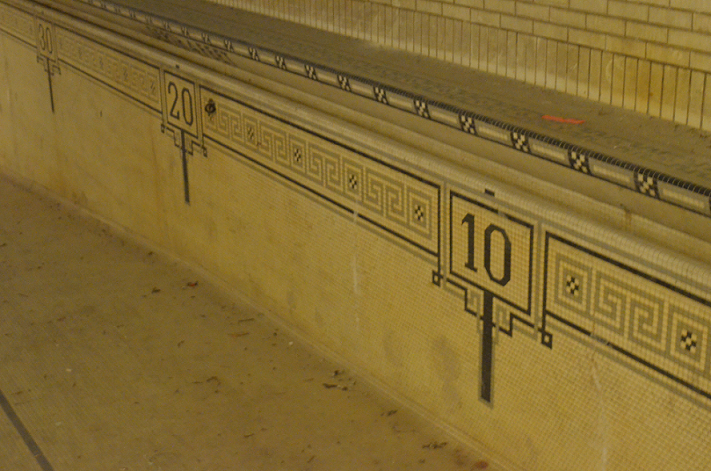 Detail of the marble tile in the original old North Side YMCA pool. The third floor of the old YMCA was where the "hotel rooms" for those who stayed were located. 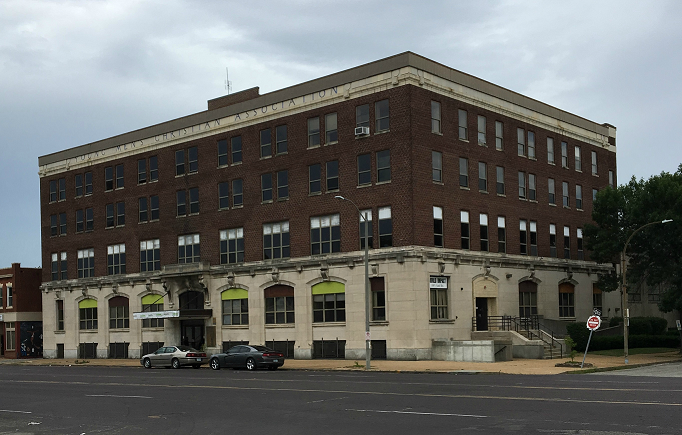 In the future, Mission: St. Louis hopes to renovate the area to become a coworking space for businesses built in north St. Louis. 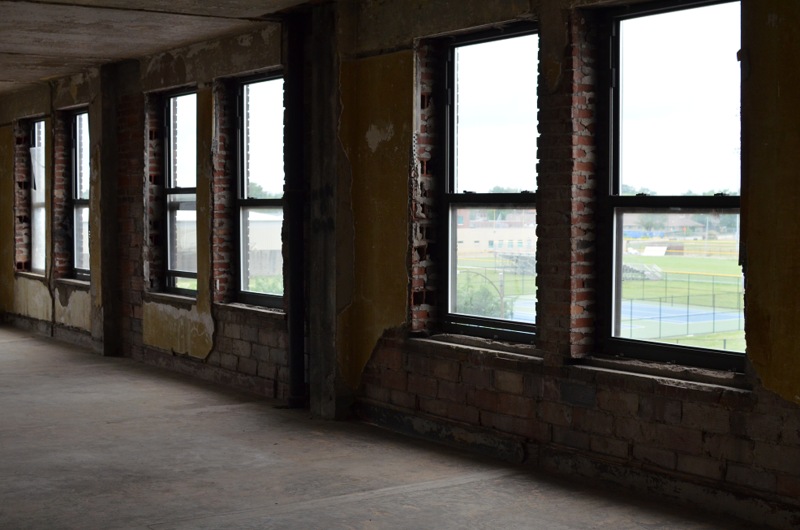 A view out the windows of the third floor of the old North Side YMCA of the Herbert Hoover Boys and Girls Club, formerly Sportsman's Park. 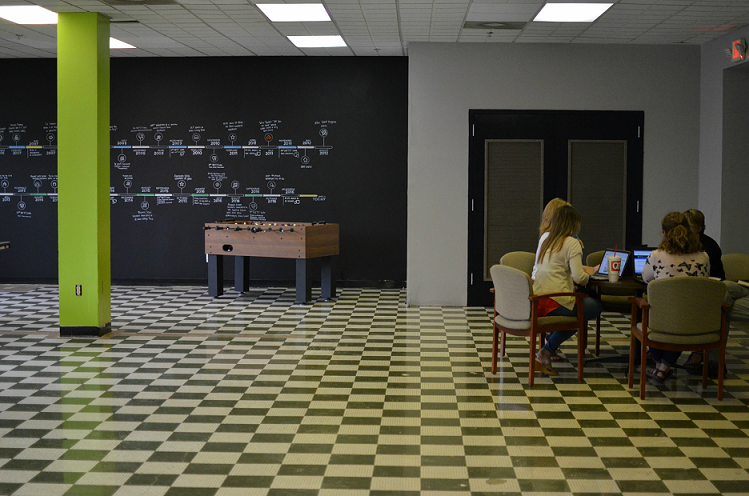 On the floor, you can see the layout of old YMCA hotel rooms. 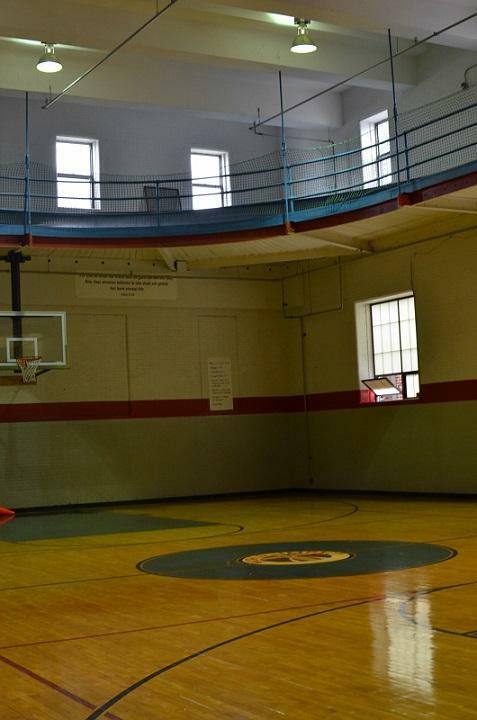 A view of the original wooden court and track inside the old North Side YMCA. 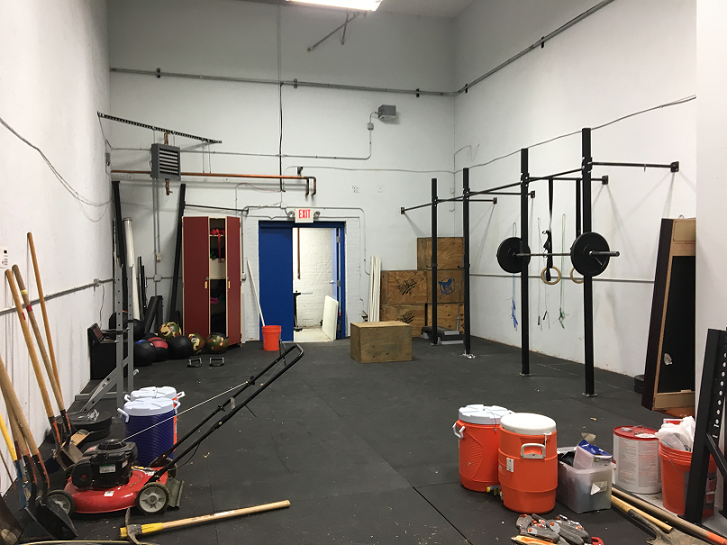 An old racquetball court has been converted into a weight-lifting gym, providing a space for wellness in JeffVanderLou. 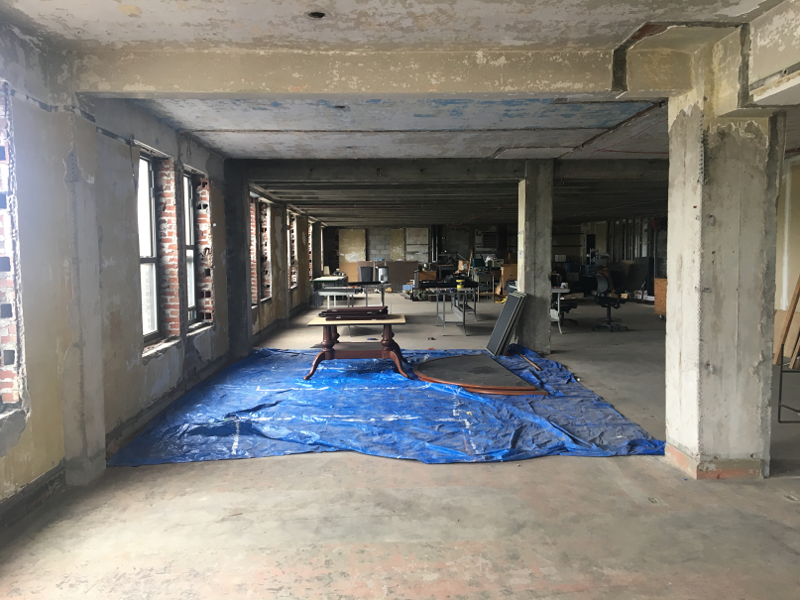 While the funding for a full renovation process will likely not be complete until April 2018, Mission: St. Louis staffers are already working in portions of the building on the first floor that have been remodeled for office space. Credit Kelly Moffitt | St. Louis Public Radio. 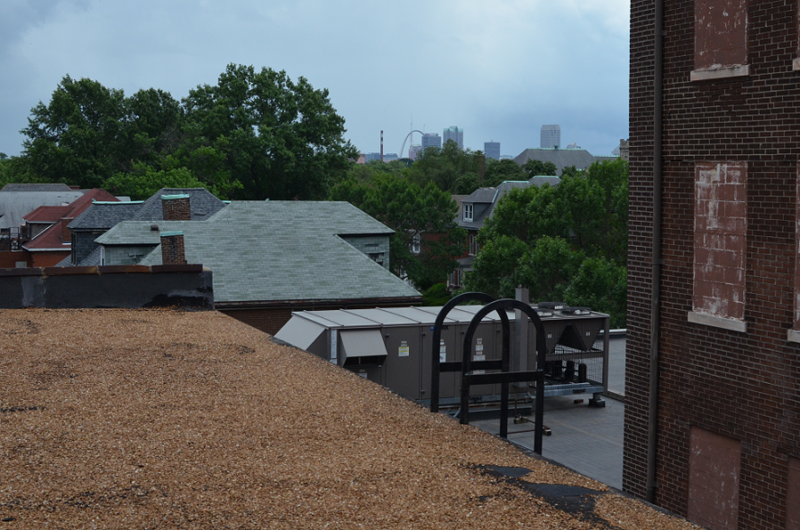 A view of the Gateway Arch from the old North Side YMCA. Mission: St. Louis hopes to install a porch here one day. 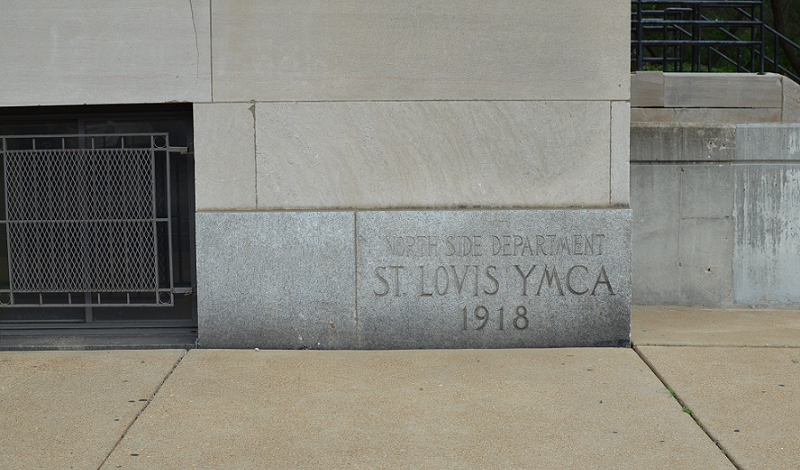 The original cornerstone of the old North Side YMCA, denoting its origin year of 1918. Archaeologists from the Missouri Department of Transportation believe they have found artifacts and evidence of permanent residences in St. Louis prior to 1764, when the city became a permanent trading post along the Mississippi River. The discoveries and inferences that archaeologists can derive from them add nuance to the complex story of how St. Louis became an important commerce center in the 18th century – more than a decade prior to United States’ independence and nearly 40 years before the country acquired St. Louis through the Louisiana Purchase of 1803. A late autumn's promise has bloomed in the spring: a once-hidden architectural gem in St. Louis is open to the public at last. 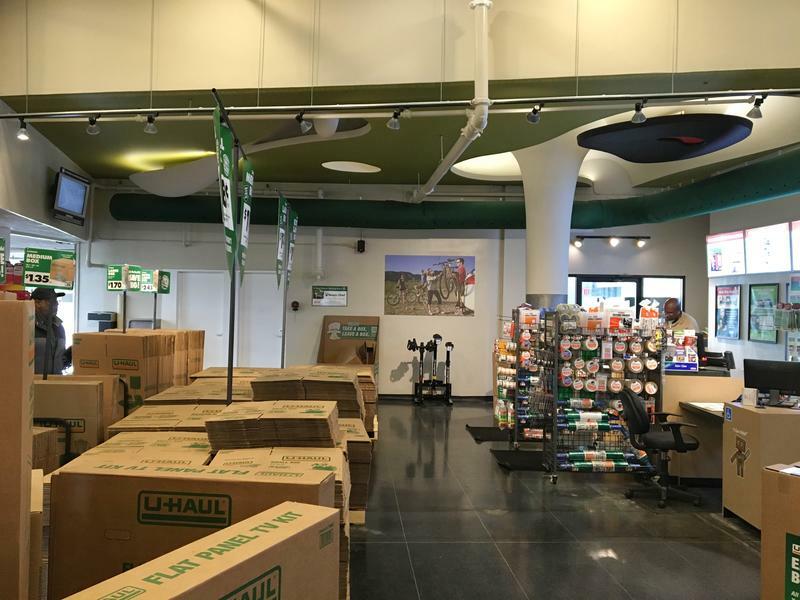 U-Haul International Inc. has made good on its commitment to uncover and repair a sculptured ceiling created for the main lobby of its mid-20th century facility on South Kingshighway by the late American artist and designer Isamu Noguchi.